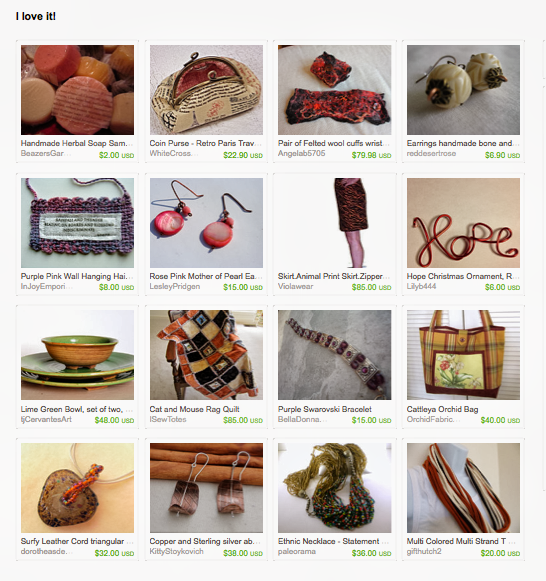 Here is a great Eco minded treasury curated by lorna MiddletonfromMakersMeadow a shop specializing in recycled products. 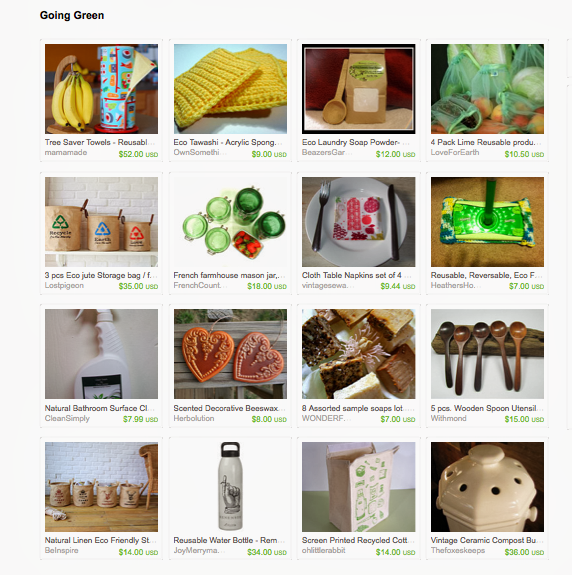 Practical eco friendly products which you will actually use around the home. Make the switch to one of these and you'll soon be living in a green paradise. Here is another great collection of items from the Craftoriteam of Etsy, curated by Lily Bhattacharya (Indigo/Crystal)fromLilyb44, a shop specializing in handmade wire jewelry. 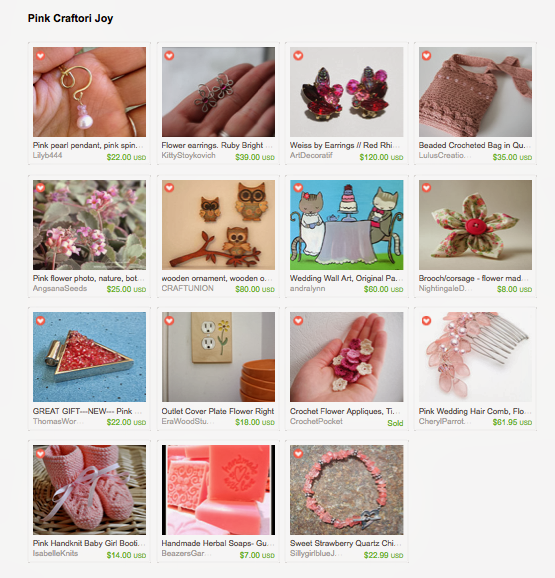 Craftori team T- promoted on Pin, Stumble, Twitter.com/Lilyb444 and FB. enjoy! 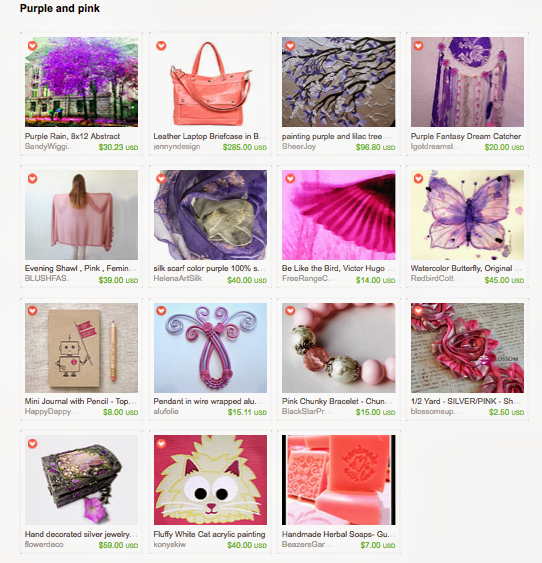 A great combination of colors in this Etsy treasury from wilma van aschfromconstarlation, a shop specializing in novelty paper goods and supplies. From soft lilac tree prints and watercolor butterfly wings, to a pink leather briefcase, beaded bracelet and my herbal guest soaps, this collection has great gifts ideas for that special someone or for yourself. Here are some Etsy shops from the Craftori Team, featuring great handmade jewelry, ceramics and my handmade herbal soaps, curated by asmina fotosfromasmina.